CT2453 - 2-1/4" cube. Pre-consumer recycled plastic. 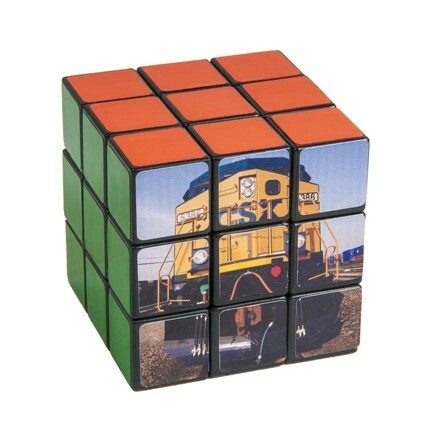 5 sides are solid colors (red, orange, yellow, green, and blue) and 1 side has a full color train image. Gift Box.